I've seen all of these episodes so as familiar with what was going on. Would be fun to hear the stories from start to finish individually. I would recommend it to anyone wanting to listen to a sample of Doctor Who stories. Maybe they're wondering if it's a series they'll like. This is a good way to find out. No one tells us which story the excerpts are from. So if one catches your ear, you'll have a hard time figuring out what story it is. I was surprised that there was a clip from The Wheel of Ice, a printed book. It's a great story, by the way (the one at the beginning with the Blue Dolls). Could you see Doctor Who Audio Adventures (Sampler Album) being made into a movie or a TV series? Who should the stars be? Hmm..Could Doctor Who be made into a TV series? Yup!...I think great actors would include William Hartnell, Patrick Troughton, Jon Pertwee, Tom Baker, Peter Davison, Colin Baker, Sylvester McCoy, Paul McGann, John Hurt, Christopher Eccleston, David Tennant, Matt Smith, and Peter Capaldi. Yeah, those guys. The picture indicates that this is a 7th doctor story. It isn't. It's a sample of other stories, from TV, audio, and books. It's fun to listen to, but since no one says, "This next story is from .... " you'll have a hard time finding the rest of the story. The only thing to make it better would be to introduce each doctor specifically and who narrates the story. I recognize Tom Baker and David Tennant and John Pertwee along with my favorite opponent the original The Master. I hope you do ALL the stories!! Sounds like clips from the old show. Very disjointed, with no plotline. Don't bother unless you like that sort of thing. Nice little collection of stories but I would've preferred hearing a whole one. I must've read the description wrong. It's a wonderful sampler of several different doctors over the decades, I cannot wait to see what the next doctor is like. 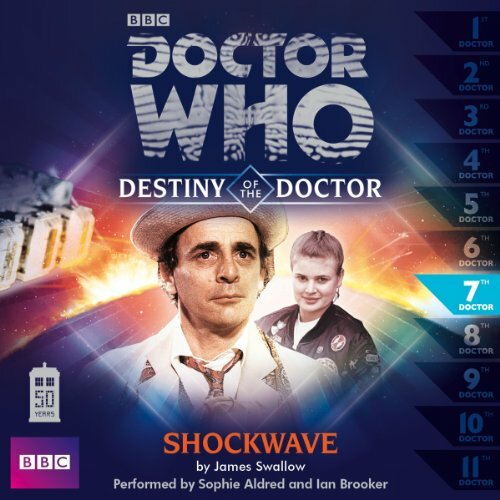 Great story based on several Doctor Who episodes, read by The Brigadier. Excellent value with a varied story of stories.